Dynamic and determined — those are the words that Jane McAuley’s clients use repeatedly when describing their home sale experience. And that’s why they practically line up to work with her. “I’ve been very fortunate to have built an extensive referral business over the years. Previous clients will often say, “I didn’t just pass on your number, I said, you absolutely must use her!” It’s that kind of testimonial that’s landed McAuley in the top 1 percent of Coldwell Banker year after year. Prior to her real estate career, McAuley was in the news business at CNN. As one of the few lifelong Atlantans, she served as the go-to for top executives and new hires fresh out of college who sought advice on where to live, work and play. Equipped with the communication skills of the news world paired with her innate mastery of the city, McAuley transformed her talent for working with people from one career to another, finding similarities along the way. “I loved being a journalist, but I found my true calling in the one-of-a-kind relationships developed in the real estate process,” she says. 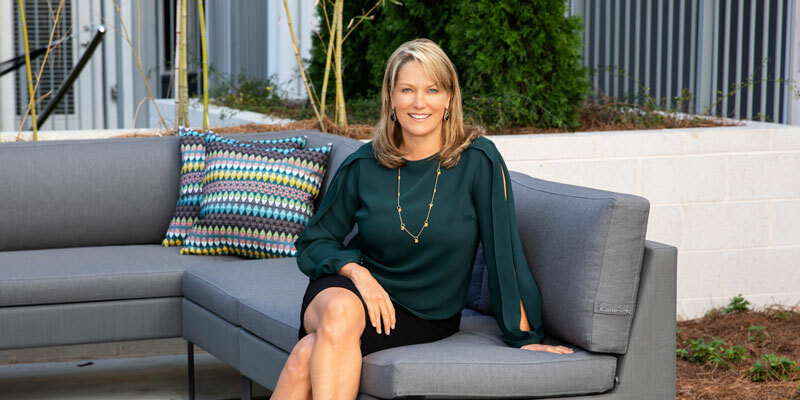 A recipient of the Atlanta Realtors Association Crystal Phoenix Award, Coldwell Banker’s International President’s Circle, McAuley works almost exclusively by referral, a testament to her clients’ unwavering loyalty.